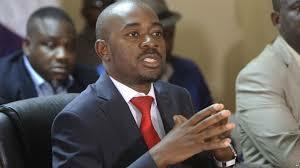 MDC-Alliance president Mr Nelson Chamisa has made a major climbdown after he was forced to abandon conditions he had set to testify before the Commission of Inquiry into the August 1 Post-Election Violence that rocked central Harare and killed six people and left a trail of destruction. Mr Chamisa, together with MDC-Alliance deputy national chairperson Mr Tendai Biti, is set to give evidence today before the commission chaired by former South African president Mr Kgalema Motlanthe and respond to allegations that he incited the violence. Representatives from the commission recently held a meeting with the MDC-Alliance where Mr Chamisa agreed to abandon some of the conditions, most of which had been described as untenable. Some of the demands included a request to have the right to cross-examine Zimbabwe Defence Forces (ZDF) Commander General Philip Valerio Sibanda, Presidential Guard commander Anselem Sanyatwe; Zimbabwe Electoral Commission (ZEC) chairperson Justice Priscilla Chigumba and police Commissioner-General Godwin Matanga, who all accused him of fanning post-election violence. Other demands were to have the commission invite President Mnangagwa and Vice President Constantino Chiwenga whom Mr Chamisa said had equally been mentioned by witnesses. In response, the commission told the MDC-Alliance that it was its prerogative to invite witnesses. MDC-Alliance spokesperson Mr Jacob Mafume confirmed yesterday that Mr Chamisa and Mr Biti would be in attendance at today’s hearings. Commission spokesperson Mr John Masuku said today’s hearings were earmarked for Mr Chamisa and Mr Biti. “We are still expecting them to testify tomorrow (Monday) at 1400hrs and there is nothing that has been placed before the commission to suggest that they were not coming,” he said.